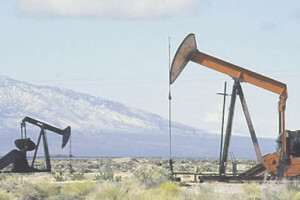 As a result of rising petroleum prices and projections that they will go even higher as result of instability in the Middle East, the Russian Federation is projected to earn five times as much from the sale of oil and gas this year than last and have a budget surplus this year for the first time in seven years. Moskovsky Komsomolets celebrates this news under the headline “Glory to the Barrel! Super Profits from Oil and Gas Again are Overwhelming Russia” after the crisis caused by the earlier collapse in petroleum prices and Western sanctions (mk.ru/economics/2018/05/11/rossiyu-snova-zavalit-sverkhdokhodami-ot-nefti-i-gaza.html). A Russian blogger, Ruslan Ostashko, apparently speaks for many in Russia when he links this development so beneficial to the Kremlin to the policies of the United States Administration and entitles his post on this issue, “Oil is Getting More Expensive. Thank You, Donald!” (ruslanostashko.livejournal.com/168114.html). Consider the following, the Russian blogger says. “Under Obama, the price of oil fell, but under Trump, the price for oil first stabilized and then jumped upward. Who in the world is the main beneficiary of the increase in the price of oil?” Many countries, of course, but Trump’s opponents will undoubtedly say that Russia is getting the most from this. “Everyone thought,” Ostashko continues, “that Putin organized Trump’s election in order to have the sanctions against Russia lifted, but in fact, Putin selected Trump for the Americans so that after several years the price of oil would rise sharply, and this is only the beginning,” he argues. That is especially likely, he suggests, because only a few years ago, anti-Russian commentators in Russia and the West were talking about the price of oil falling to 20 US dollars a barrel, something that they suggested would lead to the collapse and disintegration of Russia, especially under the sanctions regime. But Russia has coped with sanctions, and now “oil has again returned to its normal prices levels” in part because of American actions and in part because of Russia’s “geopolitical successes,” Ostashko says. Trump “didn’t want oil prices to rise, but he has had to fulfill his promises to influential sponsors … to rear up the nuclear accord with Iran and reestablish sanctions against the Iranian oil sector,” Ostashko continues. Oil prices will go up and Russia will benefit as they will compensate for the sanctions against Moscow that Russia has learned to cope with. So why is Trump doing this? According to the Russian writer, the answer lies in American politics itself: Many of Trump’s most passionate supporters are US oil companies, and they are quite happy to see oil prices rise.